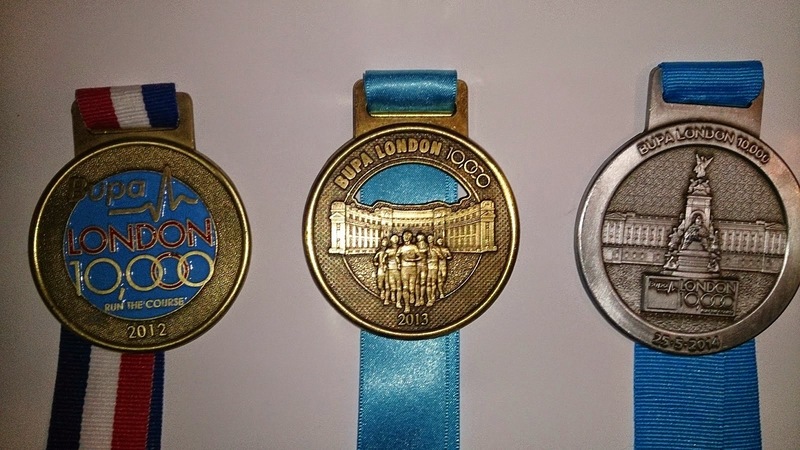 On Monday 25th May 2015 I will once again be corralled into place on the Mall in London, just along from Buckingham Palace by St James Park for the BUPA London 10K. It was my first race ever in 2012, after I took up running and set myself the seemingly impossible target of completing the Amsterdam Half marathon 5 months later. Looking back, it was the excitement, the organisation, the willingness of the volunteers and the powerful pull of the crowd, the bling, the goodie bag, everything about this race was amazing, and got me hooked. Within minutes of being home with my first ever medal, I had booked myself in the British 10K, at that time sponsored by Nike, and the BUPA Great Yorkshire Run. Others followed. 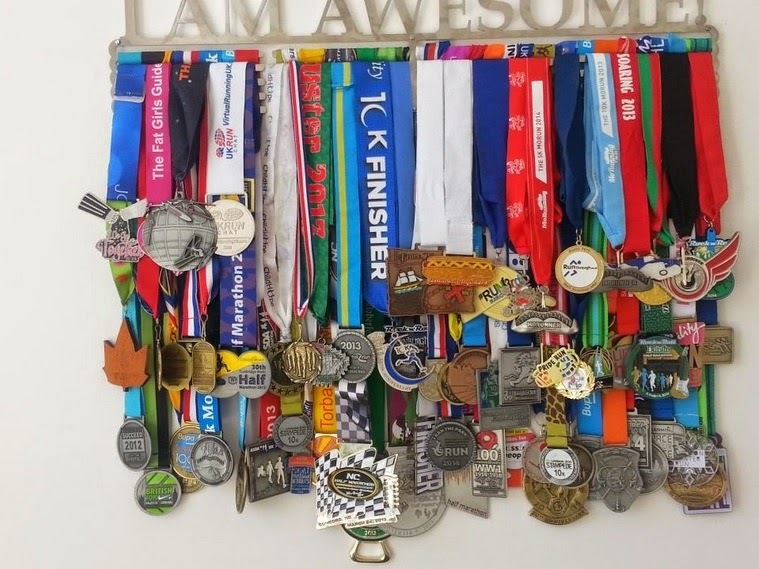 But none would, and I would not have even continued to jog at the gym if the BUPA London 10K hadn’t been everything a big race should be and more. I guess, and this is a little scary, that if it had been terrible, would I have given up there and then? Possibly. But I didn’t and today, when I go into the 3rd bedroom on the wall I see this, and I think I owe a big thank you to the organisers, and the fans of the BUPA London 10K, because without them and their brilliant race, I would never have gotten here and a point where the 4th BUPA 10 medal will be my 71st. PS. I did’t buy this rack, it was given to me. Honestly.